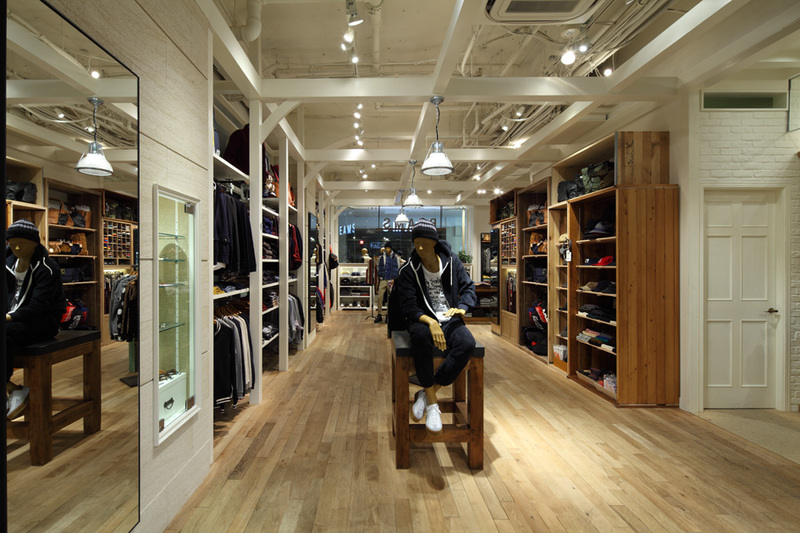 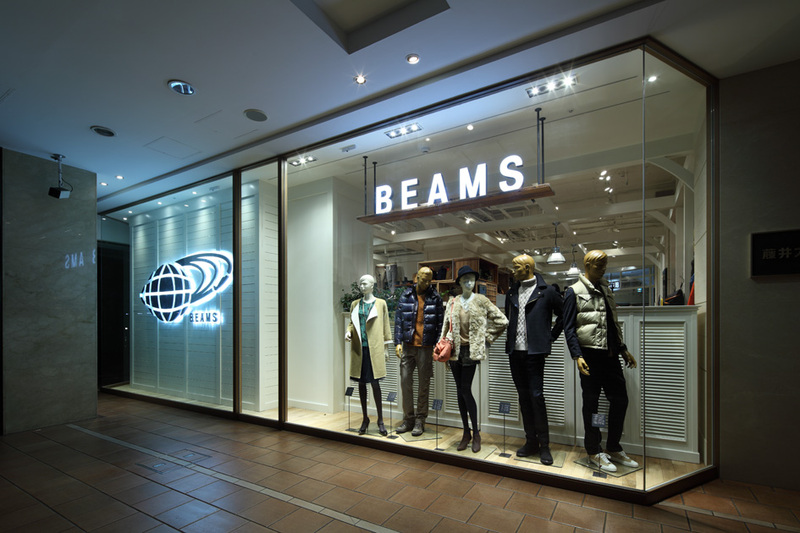 Beams Kyoto reopened on the 1st floor of the Fujii Daimaru shopping center. 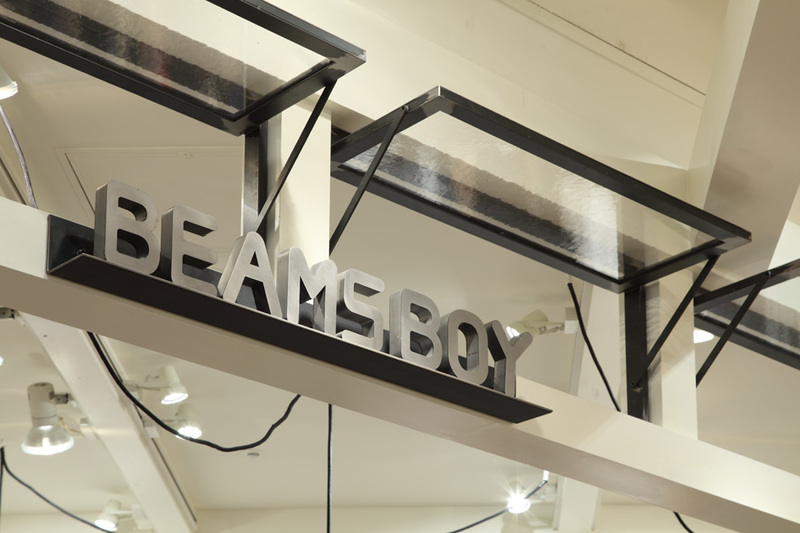 It incorporates a Beams Boy shop moved from different location. 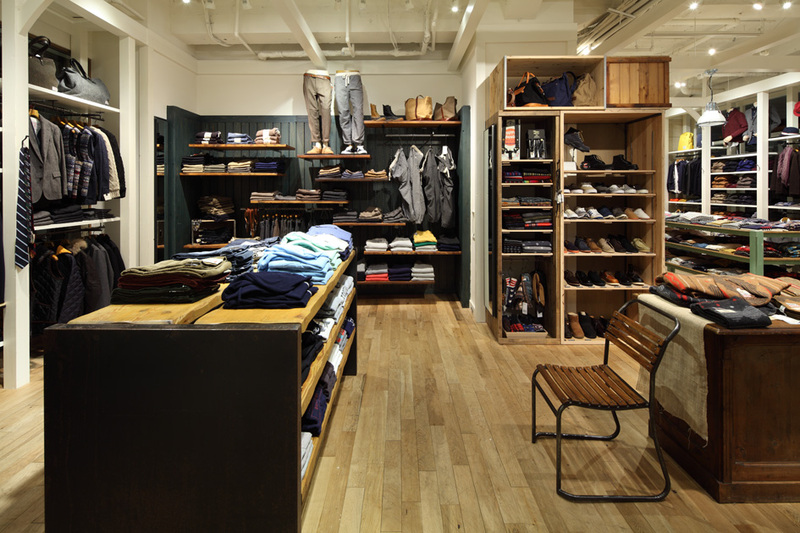 The 115-square meter space is long and skinny sideways with high ceilings. 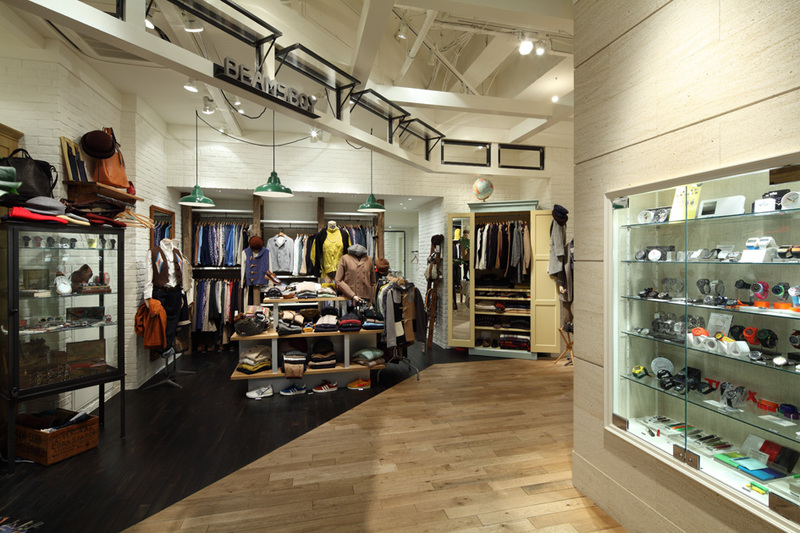 To take advantage of these inherent qualities space, Jamo designed the store with the concept of a renovated wooden structure house consists of beams and posts. 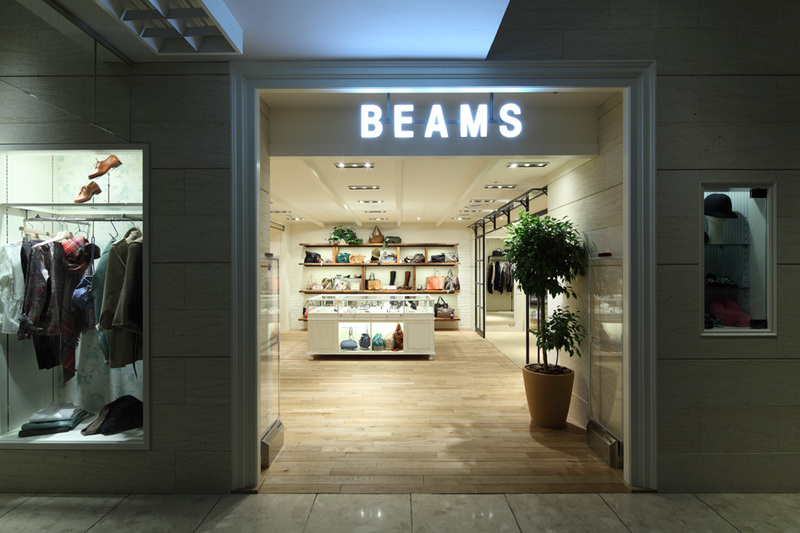 The challenge was to develop the space so that different areas that represent different Beams brands work harmonically with one another in the space as a whole. 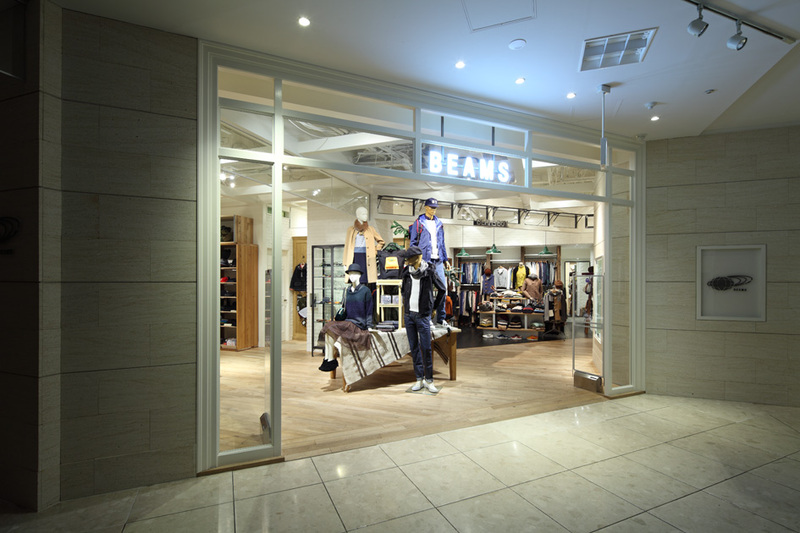 Since the space has 2 entrances at either end, Jamo gave especial consideration to how customers would access the store. 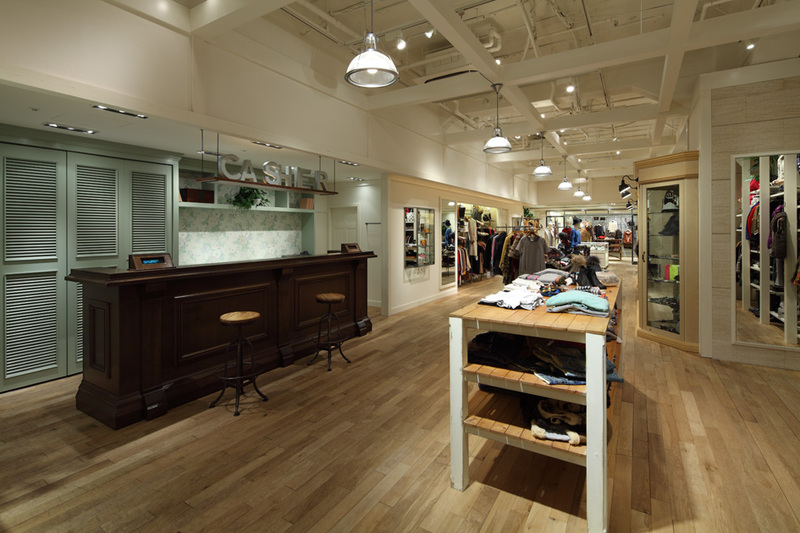 We created a men's section at one end and women's at the other, thus creating sales areas not based on the way foot traffic would flow through the store but based on the types of product to be sold. 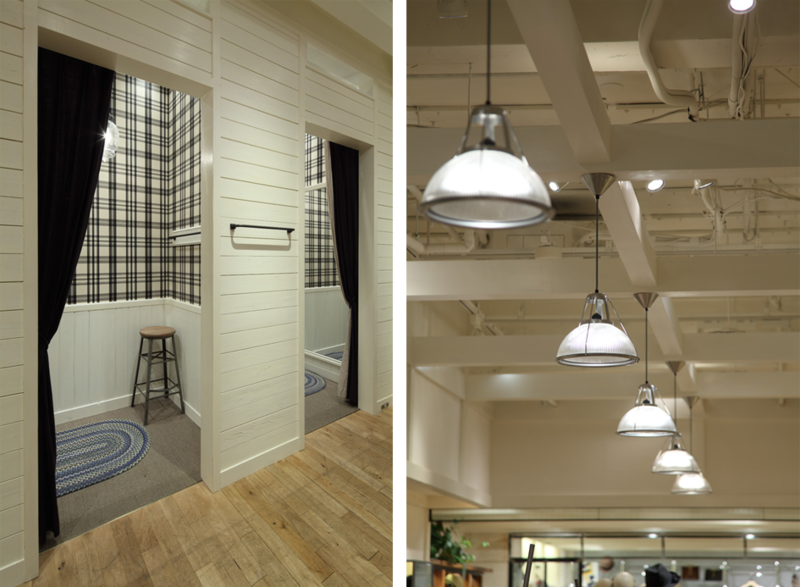 White and unfinished wood creates a neutral palette for the interior that will hold up over time and through changing trends.